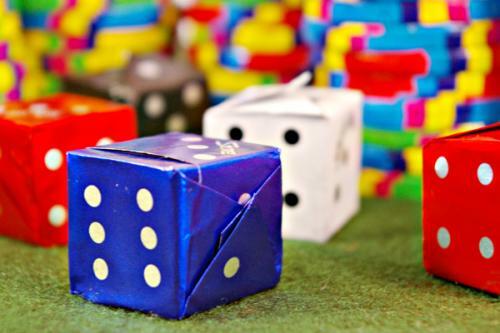 Nice... a perfect cube of chocolate hazelnut wrapped as dice in colorful decorative foils. The bright colors (black, white, red and blue) will add an authentic and entertaining look to your theme event. The "dice" are made of rich, premium chocolate with a hint of hazelnut flavor-imported from Switzerland. 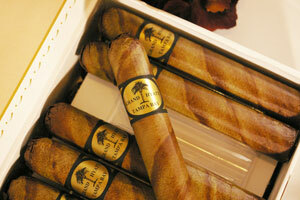 These are not hollow pieces of chocolate, but solid cubes of pleasurable sweet treats. When you pop this morsel of chocolate dice into your mouth you will not be gambling on good taste or satisfaction; it's a sure deal. There is no risk of disappointment in this product. They would be delightful treats at theme parties, office events, block parties, and even Dad's birthday party or the get together with the guys. Imagine a bowl of bright, colorful dice sitting at each player's seat. That might really keep a fun game going! .35 oz , dice size 3/4" x 3/4" x 3/4"
"We ordered the chocolate dice and poker chips for our Vegas party. Everyone enjoyed snacking on the chocolate as they were playing. They were a great addition to my party. 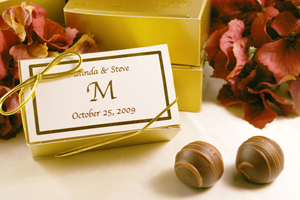 Thanks,"
"We are getting married in Las Vegas so I am making treat bags for our guest's hotel rooms. I had to taste the sweet treats to make sure they were good. EXCELLENT!" 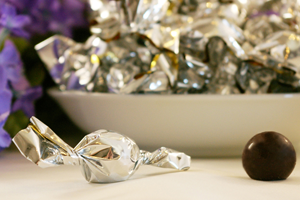 "The chocolate dice were so much fun at our office party. I am so glad I found you on the internet. I have bookmarked you for the future." 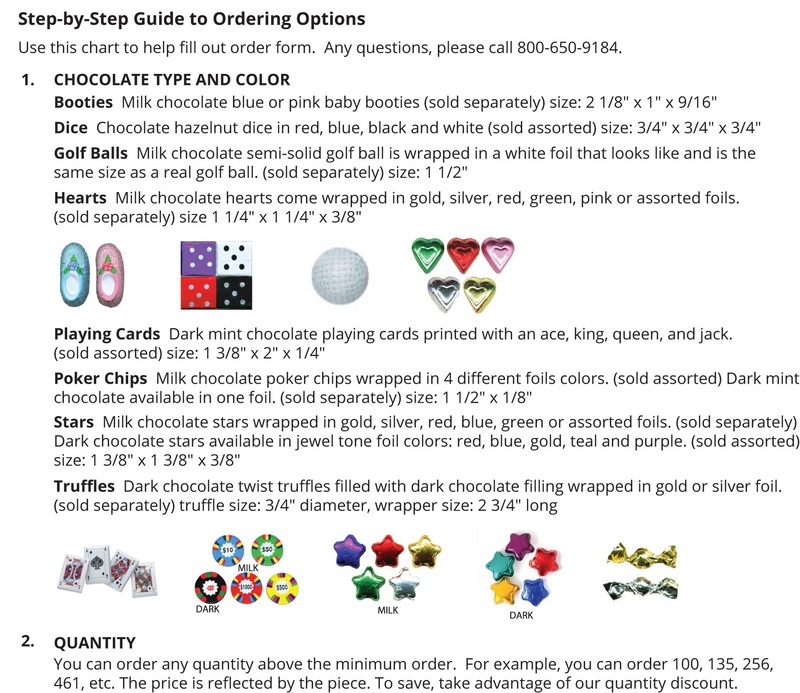 Great theme party chocolates: Casino night- playing cards, poker chips and dice; Corporate events- stars and truffles; Wedding Favors- hearts, stars and truffles; Baby- booties; Sports- golf balls.